What is this challenge about? 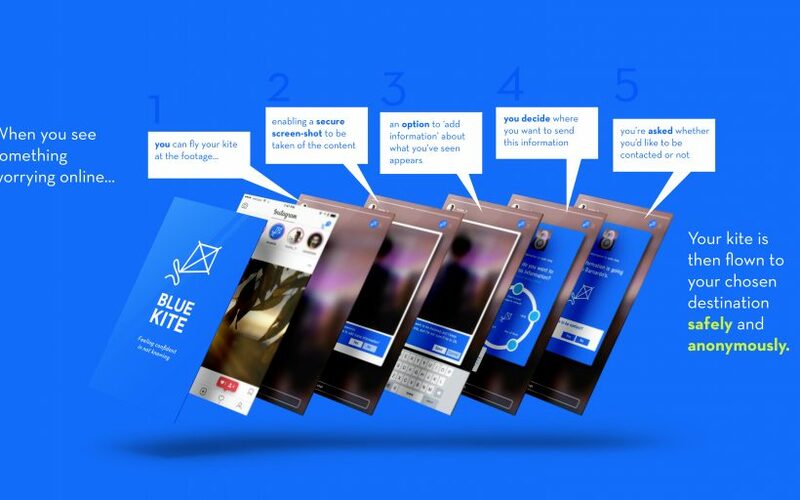 Blue kite is a digital platform and plug-in which provides a secure space for young people to have a voice in combatting sexual exploitation amongst their peers in a safe, anonymous way. Blue Kite is a community created by young people for young people with which they can disrupt inappropriate and exploitative content they experience online. Today, we are seeing increasing levels of peer-on-peer abuse, but we are not seeing a corresponding increase in peer-to-peer support. Peer networks are also usually closed, resulting in information becoming trapped in inaccessible networks. In conjunction with this, the lines between online and offline exploitation are increasingly blurring, and children can have the tendency to lower their moral thresholds online. Often, they are unaware of the dangers they encounter and sometimes they share material and information that makes them vulnerable to sexual exploitation. In addition, social media platforms are expanding their capabilities and ‘live footage’ or ‘real-time’ videos are becoming increasingly popular, and these have the ability to disappear in an instant. In some cases, the viewer only has one chance to see the content; they may therefore doubt what they saw, or lack confidence because of this not knowing. The viewer isn’t aware how many (other) people witnessed the same content, and doesn’t want to be held responsible for speaking out. The disposable nature of the content causes confusion, a lack of evidence and a fear that they won’t be believed when talking about what they saw. 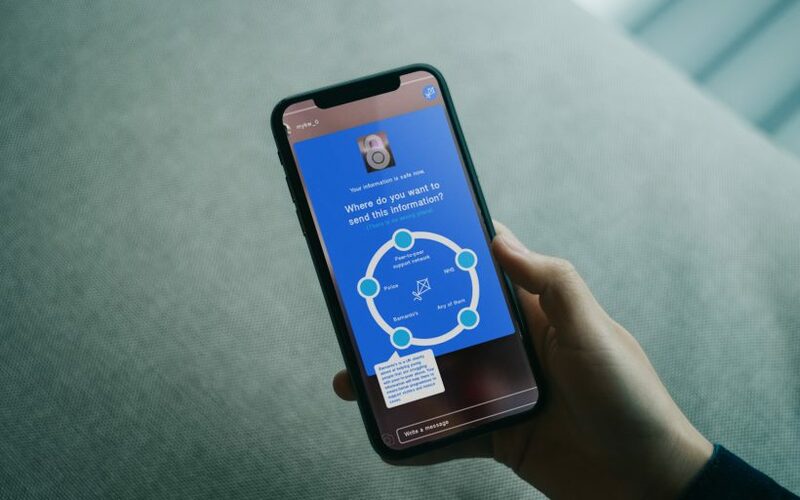 Blue Kite intends to collaborate with and harness both existing social media platforms and capable technologies such as Project Arachnid, to intervene in alarming online content. When you see something worrying online, you can fly your kite at the footage, enabling a secure screen-shot to be taken of the content. After that, an option to ‘add information’ about what you’ve seen appears. Then, Blue Kite asks where you would like to send this information, offering both formal and informal channels. Finally, you’re asked whether you’d like to be contacted. Your kite is then flown to your chosen destination, securely and anonymously. Blue Kite aims to help other young people feel empowered and that they have the ability to take control of the situation. It allows information to be extracted from peer networks and delivered to the appropriate professional environment. Blue Kite believes that reporting is prevention and the Blue Kite community can begin to reduce both cases of and the stigma surrounding this topic in the future.